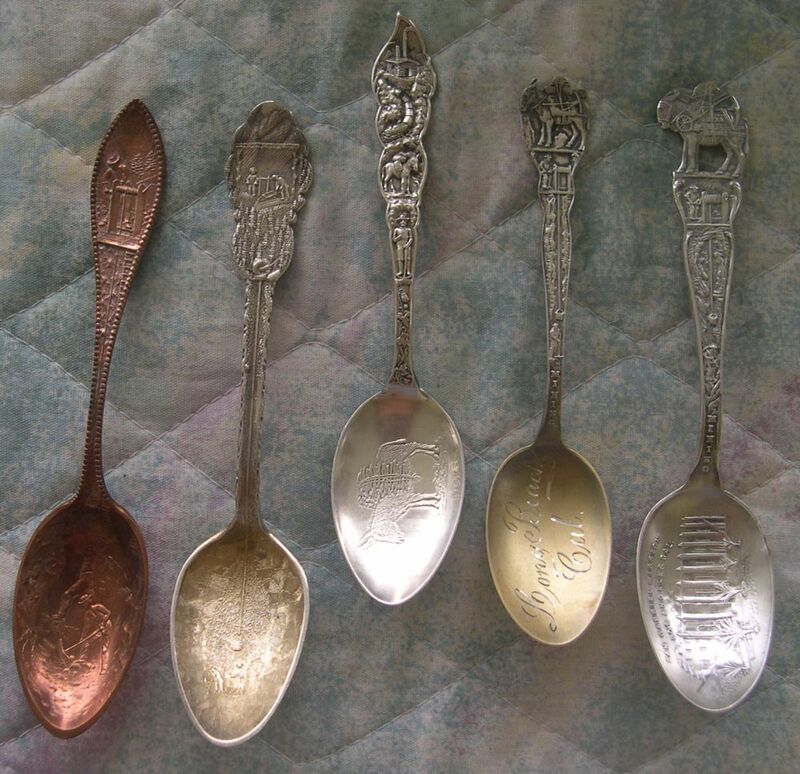 Mining was a very important activity during the time of the great souvenir spoon era, thus we find many spoons dealing with this subject matter. 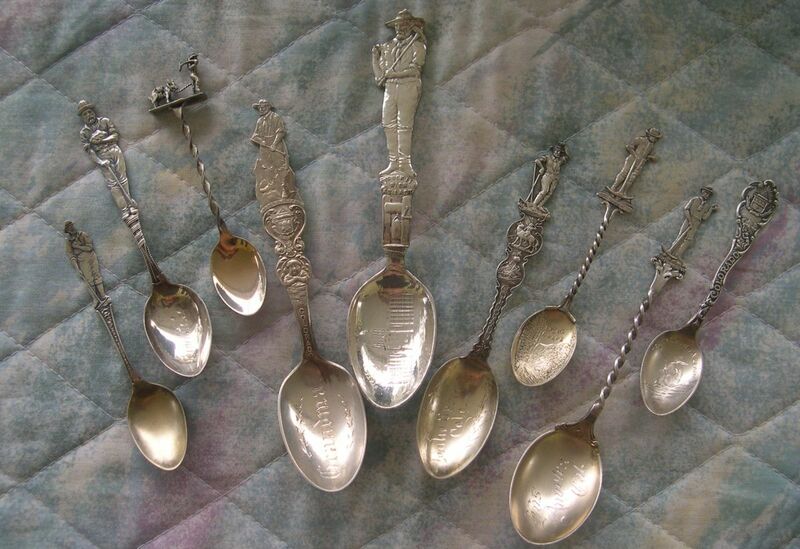 Most of the prospector themed spoons were designed to fill a marketing niche and the life of a prospector was idealized. 1. copper spoon with miner at top working a winch and two miners in the bowl working underground. 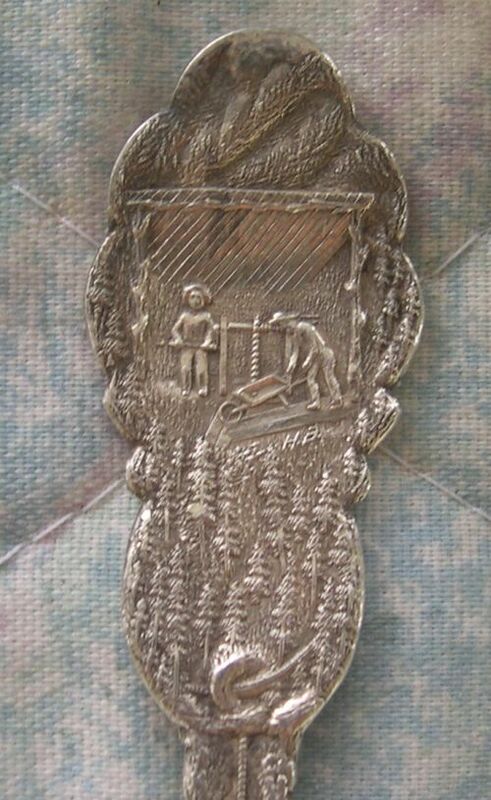 Back marked "Montana"
2. two miners at top working a winch and two miners in the bowl (see detail below). 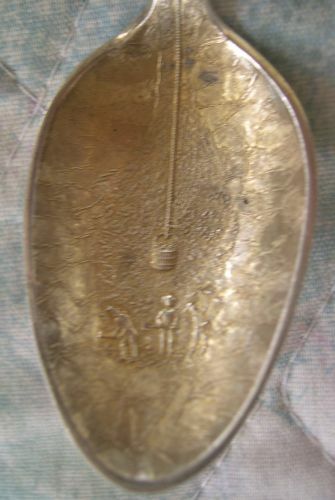 3. souvenir spoon with mining, train, mule, miner scenes and a loaded mule in the bowl. sterling. Back has cattle herding scene. but sometimes silver plated items are marked with strange terms. Just below the top miner picture are the letters "ha". I suspect this is the initial of the designer or silversmith. Bohm is known to have been in the jewelry business in Denver (ca. 1896) and his large home still exists. I have now learned that this spoon was commissioned by Otto Mears, a railroad magnate in the Colorado area. The spoon was made in an unknown limited edition and given to guests at a banquet in Silverton, Co. in 1891.